A new £10.7 million urban Whisky distillery and bottling complex is to be built on the banks of the River Clyde in the heart of Glasgow. The ambitious and innovative project is being masterminded by one of the country’s fastest growing Scotch Whisky firms, Douglas Laing & Co. 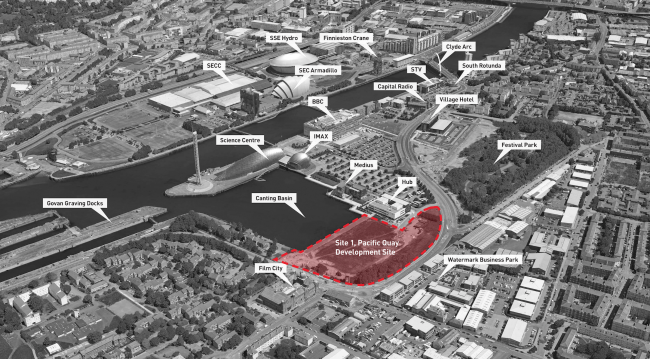 The development at Pacific Quay, one of Glasgow’s most high profile waterfront sites, will also see the launch of their new Govan-based Malt Whisky, celebrating the connection between the firm and the site of its new distillery which will also house a corporate head office, a visitor centre, a whisky laboratory and archive, bar and bistro. The new venture will enable the firm to focus on developing its highly successful global export trade – already selling to 50-plus countries worldwide. Plans and contacts are in place to further open up and expand into the emerging and huge Chinese market. The new distillery Malt will allow further and deeper growth into existing markets including the USA, on the back of existing vibrant operations in Germany, France, Japan and Taiwan and the UK domestic market. 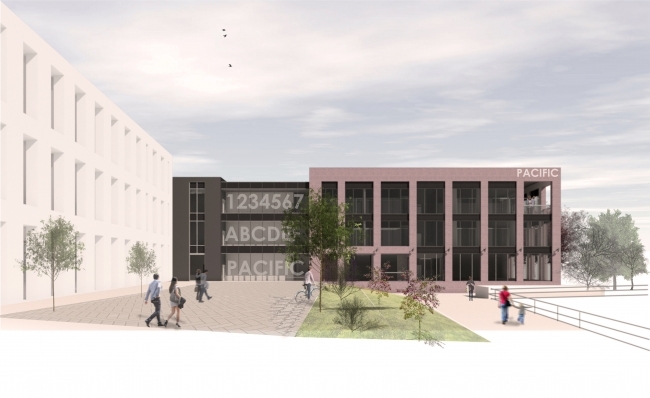 Beyond private family money, the Scottish Government is part-grant funding the innovative development by Douglas Laing, which will create up to 38 new jobs and will see the existing Douglas Laing workforce almost treble from 22 to 60. The company is to receive £855,000 through the Food Processing Marketing and Co-operation (FPMC) grant scheme, a £70 million funding programme for the food and drink business across Scotland which was launched in 2015. The grant will assist with the capital costs of distillery equipment and plant. The FPMC scheme is aimed at supporting such costs of businesses involved in the processing of primary agricultural produce to develop new and existing facilities. The Govan-based distillery announcement comes at a time of consistent progress for Douglas Laing & Co which has doubled in size in the last 4 years and recorded double digit growth in the last three years. Profits are up 17 per cent last year alone, as sales soared 29 per cent globally. Among other accolades, the company won a World Whiskies Award for Brand Innovators of the Year 2016 and the innovative expansion plan at Pacific Quay has secured the support of local MSP and First Minister Nicola Sturgeon. Since its 1948 inception in Glasgow the firm depended on its filling programmes established with a range of distillers to create its own blends and concentrated on a sales and marketing business model. But now the company – recently announced as one of the top eight global family-owned spirits companies (*The Spirits Business) – will launch its own distillery complete with dedicated bottling and warehouse capacity on site, to handle its needs. Third generation family member, Cara Laing, the Director of Whisky in the firm explains: “Until now we have depended on third party companies for our production requirements. These working associations have been and still are invaluable, but now we feel it’s time to be more in control of our own destiny and to build on our core and current business. “With Generation 3 firmly entrenched, we undertook a strategic review and identified an opportunity to become a distiller in our own right with a dedicated bottling and warehouse capacity. We believe this will see the core business develop at a rate of 15 per cent year-on-year, helping to grow our existing brands while allowing us to introduce new marques, and seek out new international markets. Cara, one of the youngest members of the Keeper of the Quaich, an exclusive society which recognises those who have made outstanding commitment to the industry, is also an ambassador for the ‘Not Just For The Boys’ Campaign, which dispels the myth that certain industries should be male dominated. Whisky is worth more than £5 billion per annum to the UK economy and is expanding. 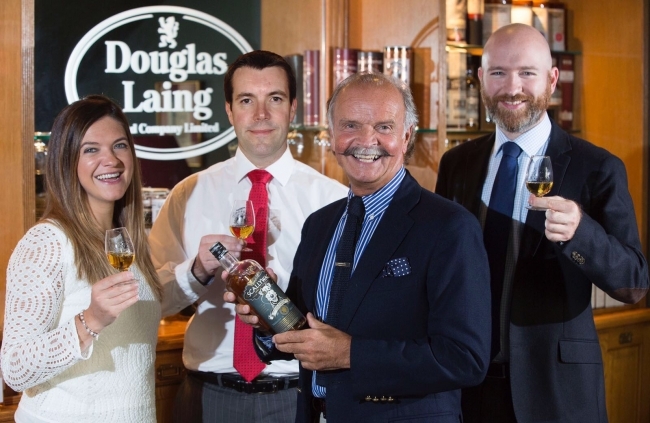 Douglas Laing & Co supply an award-winning range of artisan Scotch Whiskies and the new complex will enable the introduction of a range of new premium Scotch Whiskies. Water will be piped to the complex from Loch Katrine which is the source of Glasgow’s water supply and 300 tonnes of barley will be brought in from Scottish farms to create the whisky.